Some trades which are profitable within a year get compensation against loss making trades which are short lived. If we compare it with spot investors then it is true they do not need to pay tax at all because most of their holdings are beyond one year. This is one part of the complete story. 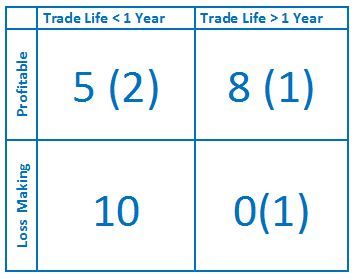 What about the loss making stocks by spot investors? Yes, they do incur loss in some of the trades but they cannot claim reverse tax benefit for the same. Tax laws only allow carrying forward net loss up to next three years. For an investor who has invested in 10 stocks and 6 of them have made profit while 4 have made loss, if there is net profit then the investor does not claim the reverse tax in the same year or next three years. APS is smartly utilizing the same opportunity to compensate against short term gains. We know some trades are going to make loss, so, we can only have profit against those losses in short term and negate the tax part. It appears to be theoretical. As our policy to validate the concept against reality, we selected a typical balanced portfolio which has yielded around 16% for spot investors and APS model has returned around 28% for the same. 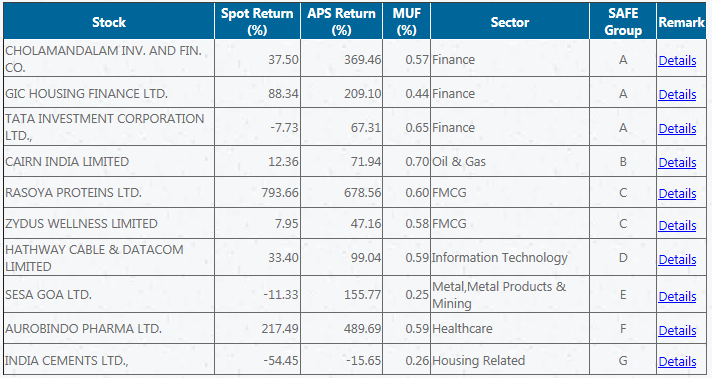 10 stocks portfolio with 10 lakh initial capital (to keep things simple). Total trade across 5 years in APS model was 27. Breakup of the same has been summarized in the following matrix. We can see investor has only paid tax two times in 5 years and the total amount of tax paid is Rs.22,746/-, which is nearly 2.3% of initial working capital. APS has generated extra Rs.10,55,200/- in comparison to spot (MUF is extra) and for that investor has to pay Rs.22,746/-. This should not be a concern for most of the investors. For detail calculations please download the following file http://safetrade.in/Articles/APSandTaxImpactDetails.pdf Conclusion: APS model of investment increases number of transactions in comparison to spot investors. However, most of the profit making transactions in APS have longer life than a year (no tax liability) and remaining profitable trades get compensation of tax against loss making trades (which spot investors fail to monetize). So, APS investors finally get either no extra tax burden or very minimal in comparison to value it adds against spot investors. © 2019, Safe Analytics Pvt. Ltd, All rights reserved.